« A Highly Productive Weekend! Disclaimer: This post was accurate as of patch 3.0.9. 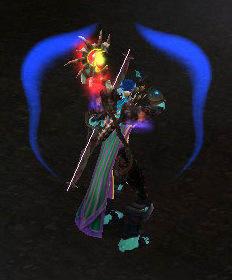 So, there’s this addon called Power Auras. I started using it when I briefly tested out Survival, but I’ve found that it’s extremely useful for just about every class. What it lets you do is put up some sort of icon when certain conditions are met. There is a wide range of options available, you can have an icon appear when a certain buff is missing from the target, or have it display when it is active on you, or any combination of many things. I’m going to show you how I’ve got it set up, but I’m always looking for new uses for this mod. Right now, I use it on my Hunter, Priest and Mage. 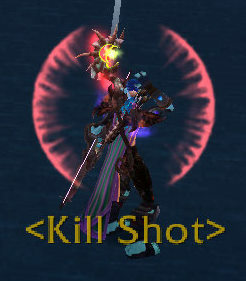 (In combat only) This is the icon that displays when I don’t have Serpent Sting ticking on the target. It’s green and looks kind of nature-y. (In combat only) This is the display when the target does not have Hunter’s Mark on it. As long as someone has put Hunter’s Mark on the target (not necessarily me) this will go away. The Hunter’s Mark and Serpent Sting filters can both be displayed at the same time without overlapping, so I can see both conditions. This is the icon that displays when my mana dips below 10%, and basically tells me to go into Aspect of the Viper ASAP. I’ve also got this one active on my other mana using characters, telling me to Evocate/drink if I can on my mage, or pop one of my mana regen abilities on my priest. (In combat only) This notifies me that my mana is above 95% on my Hunter. Basically, this is to help me learn to quash my habit of leaving Aspect of the Viper up when my mana is full. This is the icon that displays when I have Aspect of the Viper active. Pretty simple – blue for mana! These are the 2 Mage-specific icons I’ve got. 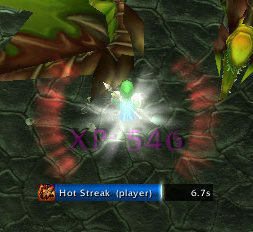 The red glowy circle is to indicate when Hot Streak procs. I also have Class Timers displayed directly below my character to keep me aware of the duration. The white spot in the middle is to let me know that Clearcasting is active. This will help me to plan my next spell, since it’s mana-less, I usually try to go for one of the expensive ones. It’s extra nice to have both procs up at the same time (like in the screenshot) because that means my next Pyroblast is instant and costs no mana! I also have the same white spot filter on my Priest, which indicates when Surge of Light is active so I can give a free insta-heal (or smite, if I’m soloing). Do you use Power Auras? While this might not be a ‘meme’, I’d really like to see some other ways people have put this great addon to good use! I use it in some of the ways you mention Braj (the things that are common to all specs) and in a few others as well. 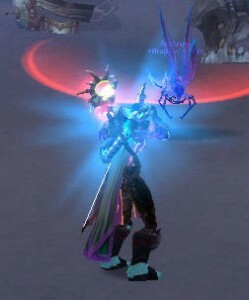 For the class specific stuffs, I have an animation the appears whenever Lock & Load procs. I’ve thought of expanding it to my trinket procs as well but right now I don’t have a lot of on-demand abilities that I would wait to use during those procs (maybe a switch out of viper if it happens to occur then). For huntard-prevention I have an aura (the paw) appear whenever I have the Aspect of the Pack or Aspect of the Cheetah buff. It both reminds me to turn it off and helps me check that others haven’t made the same mistakes. Hey there, fellow hunter here. 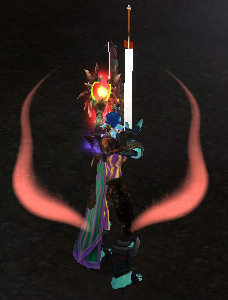 I’ve just finally downloaded power auras after my BF went on and on about it for weeks. I’ve got the general idea down but here is where I’m stuck. I’ve got it showing me when my mana pool is at 20% or under, however I often forget to turn Viper OFF so I wanted one to tell me when I was at 80% again by flashing the Hawk symbol. However I can’t seem to make it go OFF, if I stay above 80% it stay on. Sheilah – The only things I can think of is that if you only want it to stay on when you’re above 80% and in combat, make sure you check that off. Also make sure you have it in reverse mode so it knows you want it to indicate above 80 rather than below 80. Well, at least they match something! A late comment to an old post. I just thought i’d chime in that i used PA back in BC for some things, and after switching my OS, i never remembered to get it back. But come raiding @ 80, one fight brought it all back. Ha, that’s a good idea! I can certainly think of a few situations where I could an extra warning flashing across my screen! If you like using this I would suggest trying out ‘TellMeWhen’ also. 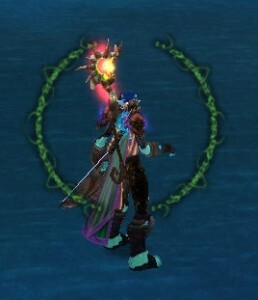 I like to use Power Auras to display medium length of buffs/selfbuffs, ie, it will display something if I dont have Inner Fire up or if I dont have UnholyB/Horn up on DK etc and I use TellMeWhen to display the buffs gained from procs similar to what your using Power Auras for. At work so I cant screenshot atm but basically say Hot Streak procs or a Trinket AP gain procs it will simply display that buff’s icon (or a choosen one) somewhere on the screen, in my case directly under my char in middle.